The Benton Tigers will take a 20-stroke lead into the final round of the Division II state golf tournament Tuesday in Lafayette. Benton, gunning for its fourth consecutive title, shot a sizzling 5-under 283 at the The Wetlands, a par-72 layout. St. Louis of Lake Charles is second at 303 followed by Ruston at 316. Benton coach Tim Cram said the score was the best team total in his years at the school. 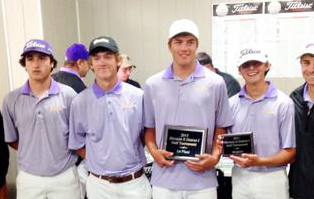 Benton’s Jacob Wyatt led the Tigers with a 6-under 66. Corbin Cantrell and Hayden White both shot 72. Defending individual medalist David Cole shot a 73.